Ever hear of oyster mushrooms? They almost look too cute to eat. 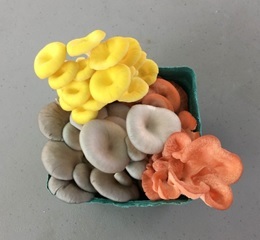 Oyster mushroom caps can vary from dark grey, green, pink or yellow depending on the seasons and species. You can find them at farmer markets. I found these at the Saturday Omaha Farmers Market. They can sometimes be found in supermarkets. Size ranges from 1 to 6 inches in width. They have a soft and slightly chewy taste. Some say they taste similar to Morel mushrooms and that they can develop a slight aroma of anise. There are many species, all of them in the genus Pleurotus. Commonly known as Oyster mushrooms, they get their name because of their resemblance to fresh-shucked oysters. They are found growing on decaying wood. The Pleurotus citrinopileatus, has delicate daffodil-yellow flowerlike caps with pure white stems and grows in clumps. They can be used as a centerpiece for a dinner table. You might ask the questions are they good for you, how do you prepare them, are there poisonous oyster mushrooms? They grow on trees or can be grown at home on a small scale from kits. They are available all year long with a peak season in the fall. To prepare for cooking, cut off the lower part of the stems which can be tough but can be used for vegetable stock. Flush out the gill spaces (underneath the cap). Gently press between paper or cloth towels to remove excess liquid. Oyster mushrooms are used in stir-fried dishes. You can simply tear the mushroom into desirable sizes before adding them. They cook relatively quickly so add them towards the end of the cooking process. Use them as soon as possible for optimum flavor and quality. Health-wise? They are good sources of vitamin D, protein, fiber, potassium, vitamin B6 and folate. About 10% of the population may have a slight allergic reaction to eating the fungus raw. September is National Mushroom month to promote the appreciation and use of fresh mushrooms. 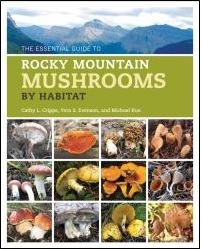 So in honor of National Mushroom month try some fresh mushrooms even though they may not be oyster ones. 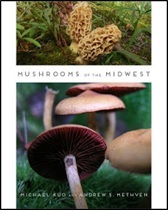 If you would like more information on mushrooms in general check out the The Mushroom Council’s website.